Your subscriptions have been transferred over to this new site! 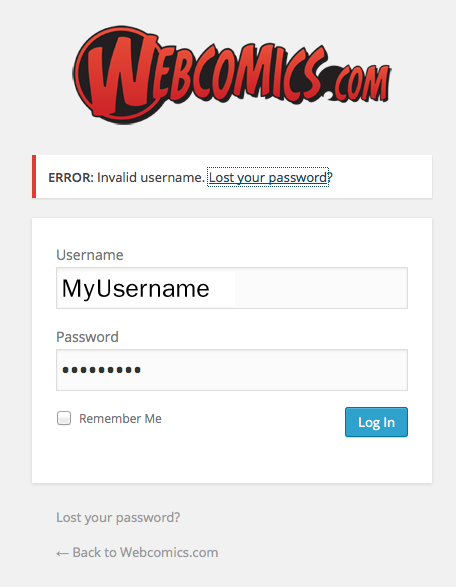 However, you will be asked to create a new password. This will not double-bill you for a new subscription. It’s merely a by-product of moving to a new system! Type in your Webcomics.com username or the e-mail that is attached to the PayPal account that you created your membership with. You will receive a link to create a new password at the e-mail that is attached to the PayPal account that you created your membership with. Your existing membership is honored at the new site. 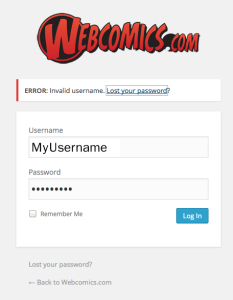 However, once your existing membership expires, you will be asked to resubscribe to the site. That’s because we’re using a different subscription plug-in, so, in effect, you’re going to be creating a “new” subscription. 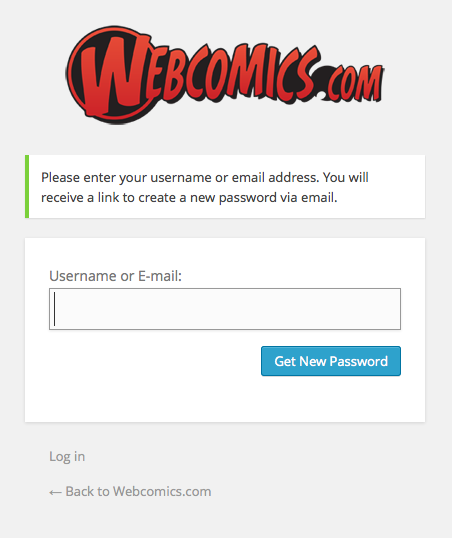 Likewise, over the next few months, you will receive an e-mail that says that your subscription to Webcomics.com has been cancelled. That’s just me, cancelling your old subscriptions so you don’t get double-billed when it’s time to create a new subscription. If your membership expired between February 14-17, you may get double-billed. As soon as you create your new subscription, I will refund the earlier payment. If you have any concerns about being double-billed, don’t hesitate to get in touch with me using the Contact link at the top of the site. I still see the old site. Please clear your browser cache.